A locked room. A dead body. No clues. Detective Dylan Knox thought he’d seen it all till he walked into this nightmare case. George Hobbes is found dead in a locked room. How did he get there and who killed him? With the city on the edge of panic, Detective Knox is under pressure to solve what seems like the perfect murder. He and his partner dig deep to solve a mystery where the clues are hard to come by. The suspects include the dead man’s eccentric family, who all seem more than capable of murder but have got solid alibis. Can Detective Knox solve his toughest case yet? And will he keep his cool under the spotlight of the press and the dark city? 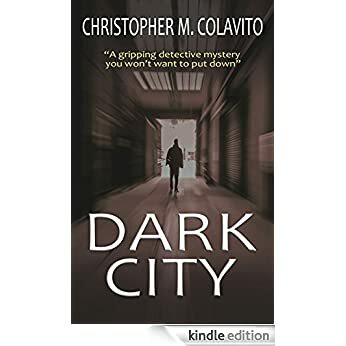 Find out in Dark City, Christopher Colavito’s brilliant detective mystery.